Energy Up! | Sugar Shocktober 2015Sugar Shocktober 2015 - Energy Up! Energy Up!’s SUGAR SHOCKTOBER is a five-day nationwide in-school health and wellness campaign scheduled for the month of October. The program’s goal is to educate students, teachers and faculty about the harmful health impact of Sugar Sweetened Beverages (SBB’s) and to empower them to choose healthy beverage alternatives like water. Specifically we chose to focus our efforts on the week leading up to Halloween, well known for it’s frighteningly high sugar consumption, to trigger awareness of the hazards of excessive sugar consumption before students go trick or treating. Did you know the content of a bag of typical Halloween treats contains over 4,800 calories, one-and-a-half cups of fat and 144 teaspoons of sugar? Halloween is not the end of the average American’s sugar overload. It’s just the beginning of a season of too much sugar-laden candy, desserts and sweet drinks that runs from Halloween through Thanksgiving through Hanukkah and Christmas, and New Year’s. According to some estimates, the average American gains seven pounds during the holiday season which is why SUGAR SHOCKTOBER is so strategic in serving to improve the well-being of our children. The program kicks off with students, teachers and faculty learning to calculate how much added sugar is in their favorite foods and beverages through Energy Up!‘s popular branded educational tool, Energy Up! Sugar Shock. Energy Up! provides ideas on healthy beverage alternatives and encourages everyone on campus to take Energy Up!‘s 5 Day Soda Free Pledge. Colorful “I Choose To Be Sugar Free” posters and flyers promote awareness and support efforts to change behaviors. Prizes and giveaways make it fun to participate! Participating schools agree to eliminate Sugar Sweetened beverages (SSB’s) from school menus and vending machines throughout the week to make it easier for participants to reach their goals. 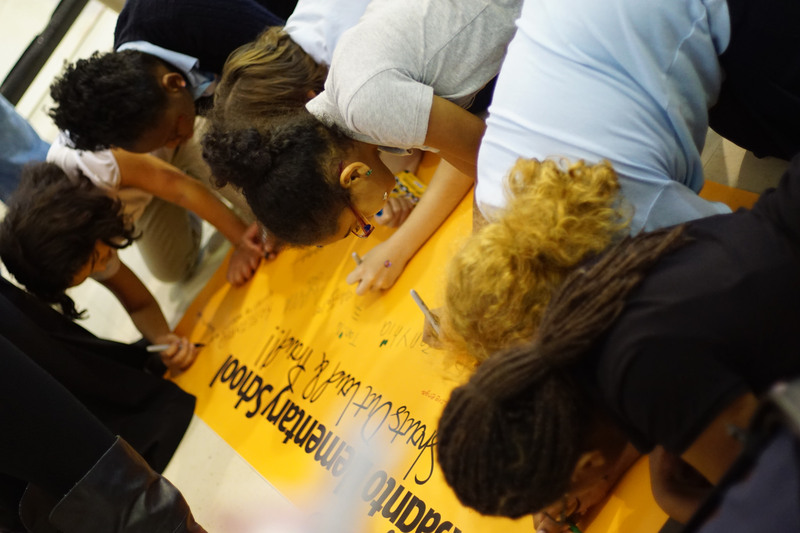 Last year over 2,500 students, teachers and school faculty in private and public schools in the tri-state NYC area participated in Energy Up! SUGAR SHOCKTOBER. 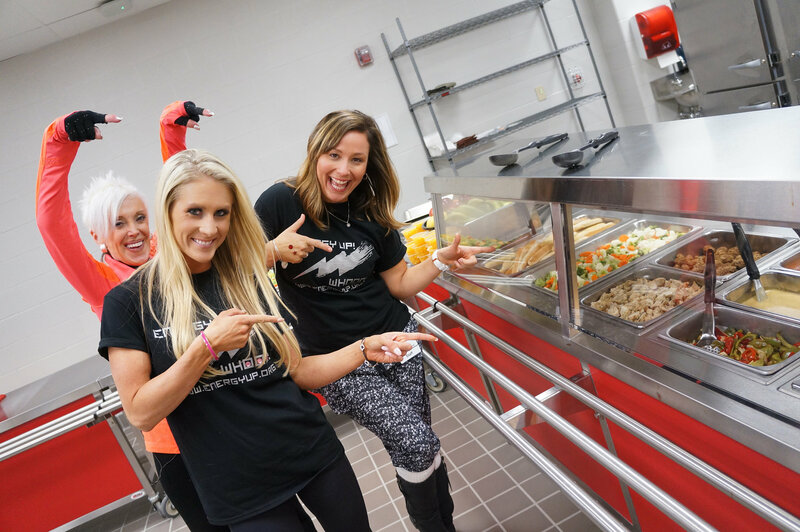 For five whole days, these schools took the “SSB-Free” pledge, promoted awareness, eliminated Sugar Sweetened Beverage from the menu, participated in more physical activity and drank more water. Join the “I Choose To Be Sugar Free” School Movement today! Be a part of this historic health and wellness event by taking the first step to improving the overall health of your school. When you eliminate sugar sweetened beverages (SSB’s) such as soft drinks, fruit juices, chocolate milk and sports drinks in your school, you’re improving the wellbeing of your students, faculty and staff. In the United States, two-thirds of adults and one-third of children are overweight or obese. Research has demonstrated a significant link between sugar consumption and weight gain. As our country addresses a growing health, economic and national security crisis caused by obesity, public health officials are seeking to address the most significant source of added sugar in the American diet: sugar-sweetened beverages (SSBs). Sodas, sweet fruit juices, and even chocolate milk add, on average, an additional 347 calories per day to the American Youth’s (between the ages of 12 and 19) diet. Sugary soft drinks account for 7 percent of total caloric intake in the United States and equate to an excess of 15 pounds per year per person, without any nutritional benefit. Contained in one 20-ounce bottle of soda are 65 grams of sugar. This is equivalent to the sugar content of nearly three two-ounce chocolate candy bars or approximately 22 packets of table sugar. Sugar Sweetened Beverages that are high in sugar can cause type II diabetes, hypoglycemia, high blood pressure, weight gain, obesity, tooth decay, a slew of other health problems and for millions of people they can become totally addictive. According to the American Medical Association (AMA), the nation’s largest organization of physicians, significantly reducing sugar-sweetened beverage consumption is a key component in solving America’s obesity crisis. Thank you for joining and Choosing to Be Sugar Free in Energy Up!’s SUGAR SHOCKTOBER 2015 Program. LEARN HOW YOU CAN GET INVOLVED IN SUGAR SHOCKTOBER — CLICK HERE!